Here is a brief and informative review of KnownHost Managed WordPress Plans and latest KnownHost discount coupons provided by Webhostingology.com. WordPress is a popular content management system that makes building a website easier for everyone. 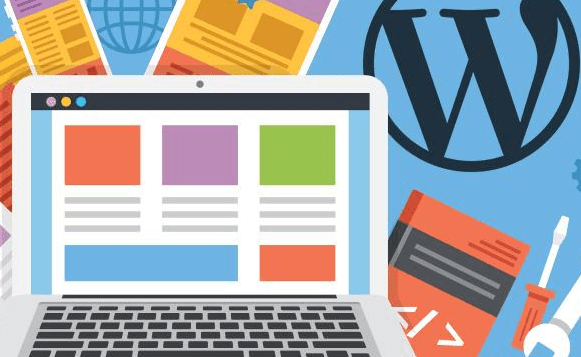 With a WordPress site, you can easily use your phone or PC web browser to modify pages in your website, make new content, and even make broad, sweeping changes with the touch of a button. The most complicated part of WordPress is installing it on your server, which requires a bit of technical expertise. Under a managed hosting plan, you don’t need to install anything at all. Your web host will do all of the technical work for you. In addition to installing WordPress, they’ll help manage your files, keep things updated, protect you from hackers, and even back up your site under some plans. This means that managed WordPress hosting is one of the best options for people who aren’t web experts who want to build their own site. It’s very inexpensive and puts you in the driver’s seat regardless of your technical aptitude. KnownHost has two managed WordPress hosting plans, called WP-1 and WP-2 respectively. They differ in three important ways: cost, bandwidth, and storage. Under a WP-1 plan, you get 100k monthly visits for under $6 per month. You get a full 50 GB of SSD storage to host your site and ensure that all of your visitors have the best experience. With a WP-2 plan, you get twice as much storage and your site can handle twice as many visitors. This means you get 100 GB of SSD storage and 200k visitors per month. This is enough to run most sites, especially those for local clubs and small businesses. This plan costs just under $10 per month. At checkout, applying a coupon code for KnownHost you can save as much as 50% on an annual order. If you select a 3-year term a valid KnownHost promo code may save you close to $360. Both plans come with unlimited e-mail accounts, automated updates, and 24/7 live support. While you’re limited by the number of visitors with each plan, your actual bandwidth is unlimited, so you’re free to build a fairly demanding site in terms of pictures and other media. Finally, both plans offer the capability to expand. While you’re probably looking at a managed hosting plan to simplify things, you get all of the logins you need to tinker with the backend of your site when you’re ready. You can also easily migrate your plan to a more comprehensive hosting option when your website grows. KnownHost uses these last features to try to edge out the competition. Automatic updates, 24/7 support, and advanced built-in security help make your site incredibly easy to manage. Since they give you all of the logins to site utilities, you can also make any changes you need, meaning that these web hosting plans are perfect for novices and experienced webmasters alike. KnownHost promo code: KH50DEAL – 50% off your plan. KnownHost discount code: KHA50DEAL – 50% off your plan.